Ochsner's TeleStork Program, a service of our Maternal Fetal Medicine team, provides unmatched specialized care to ensure healthy outcomes for our expecting mothers. With one of the only 24/7 maternal fetal specialist and fetal therapy teams in the region, our physicians are dedicated to improving all aspects of perinatal care. The TeleStork program creates an additional layer of support for patients in labor with the use of industry best practices and advanced technology. 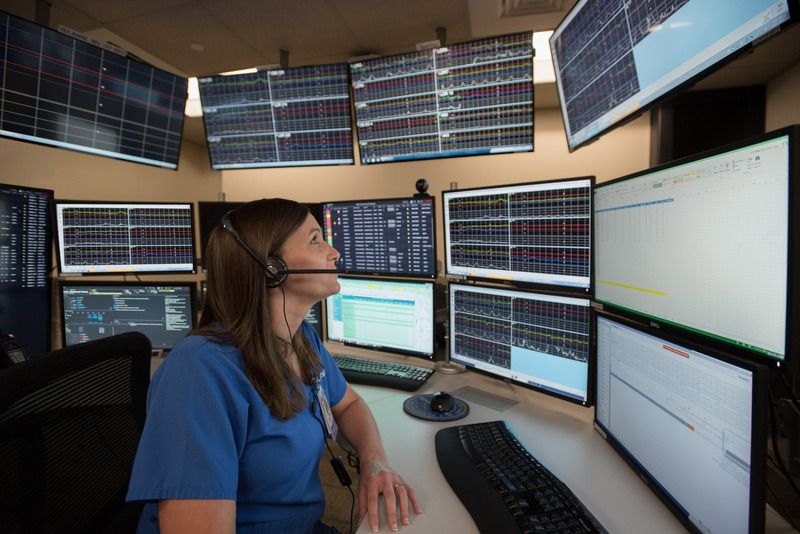 Using live streaming of maternal and fetal health records, Ochsner's TeleStork program provides 24/7 monitoring to laboring mothers. Rapid detections of labor distress and early intervention by our specialty care team can reduce poor birth outcomes. Using the highest level data security to exceed federal government HIPAA requirements, clinicians can use 2 way audio and video communications to interact with patients, providers and family members. Interactions are initiated for scheduled rounding, to address patient problems noted during continous monitoring or at the request of the bedside team.